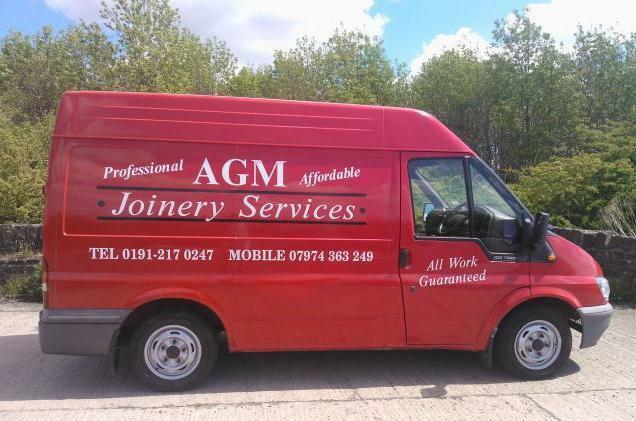 AGM Joinery Services Limited is an independent, family-run business, based in the North East of England. Established by Gary MacDonald, a Time Served Joiner with over 25 years experience, who has the knowledge and expertise to provide a high quality professional and affordable service, and whose aim is not only to meet, but exceed his customer's expectations. Gary works hard to provide quality workmanship and a prompt service. Attention to detail is a priority, using the best quality materials and up-to-date tools and equipment to help you maintain or improve your home. all the work he undertakes is fully guaranteed and insured. Gary has a wide range of contacts with other skilled tradesmen such as Bricklayers, Plasterers, Electricians, Plumbers and Decorators; who are all fully qualified contractors and work in accordance with the latest building regulations. Working closely with these contractors he can offer a total package of works with full planning, co-ordination and project management, whilst providing you with a single point of responsibility for your project.